i-SPEED cameras capture high-speed video footage by the navy for scientific analysis onboard ships. The equipment records a wide range of applications, including armour plate testing for new ships design and analysis of cavitation of propellers, and ballistics testing of missile deployment. i-SPEED cameras are also used in submarine environments for the analysis of missile deployment through water and for the design of new propulsion systems. Naval Special Forces use i-SPEED cameras for detonics studies and bio-mechanics of recruit training. i-SPEED cameras are ideal as they provide high-level specifications, along with portability and ease of use. The latest innovation from the iX Cameras labs is the i-SPEED 7 Series of cameras, groundbreaking in its recording capacity and 400 times faster than standard 1,080p high-definition (HD) rates. The i-SPEED 7 series is a high-resolution camera with the ability to capture scenes quickly and is suitable for many different applications. Machined from solid aluminum, the i-SPEED 7 enclosure is High-G rated and is designed for use in the field. Transfer video files on the fly with our external Solid State Drive (SSD). Move very large data files inexpensively and with ease. Available in a variety of storage capacities, it’s a convenient alternative to our internal SSD, which allows for spacious multi-clip, in-camera video storage. Available in 500 GB | 1 TB | 2 TB. The i-SPEED 7 comes with an optional removable one-hour battery that charges during operation and automatically engages once the camera is unplugged, guaranteeing data security on the camera. Keep a store of fresh batteries to shoot on the go for as long as you need. The i-SPEED 2 Series is a robust, feature-rich, high-speed camera in a small form factor. It is easily controlled, easy to connect and offers a simple design for efficiently capturing high-quality video footage. The i-SPEED 2 camera series comes with an optional battery and expanded internal memory of up to 16GB. The i-SPEED Software Suite 2.0 is designed for the i-SPEED 7 Series and represents an innovative move for high-speed video capture. With the i-SPEED Software Suite 2.0, all the necessary tools to record, edit, analyse and share high-speed video are available in a single package. Cameras can be controlled via the gigabit Ethernet connection to release the full potential of the i-SPEED Software Suite 2.0. Load and control single and multiple camera configurations, or connect remotely for uninterrupted access to restricted areas. The revolutionary CDUe enables high-speed portability with its integrated comprehensive camera controls, along with a rechargeable internal lithium-ion battery. Users can choose to instantly sync and record from multiple cameras, multiple configurations of a single camera, or rapidly configure a new camera and capture settings using the simplified connection control panel. The real-time camera status can be displayed using the remote i-CHEQ 360. Users can view in-camera details for single or multiple camera setups and instantly confirm camera status, including battery charge levels, buffer status, trigger tests, power status and synced timing sources. Reviewed and adjusted camera settings can be in real-time while the intuitive window structure captures and records videos in a logical, linear way. Multiple screens and undock camera controls to enable a customisable multi-monitor control experience, allowing users to review and simultaneously play back multiple synced videos. iX Cameras is a worldwide leader in the development and manufacture of high-speed cameras and slow motion analysis software. For more than a decade, i-SPEED cameras have been extensively used in a wide variety of applications including ballistics, automotive testing, R&D testing, production line monitoring and auditing, biomechanics, sports performance, media, and cinematography. iX Cameras continues to innovate, producing the world’s highest performing and most feature-rich cameras, now capable of transferring more than 26 billion pixels of data per second (more than 410 times faster than 1,080 HD cameras employed today). iX Cameras dedication to excellence extends from engineering to customer service. As a result of this commitment, i-SPEED cameras have won numerous design and innovation awards, including the Queen’s Award for technical achievement in the UK. Regional offices are now located within the US, the UK, China and India to sell, service and support all i-SPEED camera models. iX Cameras has introduced its value-priced camera, which has joined the premium ultra-high-speed i-SPEED 7 Series line. From the innovators of Olympus high-speed camera technology comes iX Cameras' state-of-the-art i-SPEED 7 Series with ground-breaking specifications for demanding scientific applications. World-leading designer and supplier of high-speed (slow motion) imaging technology, iX Cameras, has announced its new sales and distribution cooperation with Australia-based SciTech PTY LTD.
iX Cameras has announced its recent sales success with BMW Brilliance, Nippon Steel, and South China University of Technology. Essex Innovation Programme and Anglia Ruskin University has presented iX Cameras with The Innovation 50 Award. iX Cameras, leading developer and manufacturer of high-speed, slow-motion imaging cameras, is proud to announce a sales and distribution partnership with Zermatt LLC of Annapolis, MD. 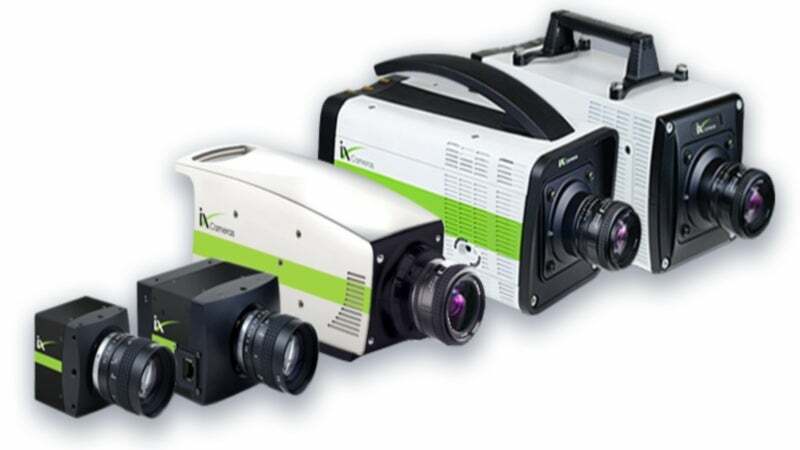 iX Cameras of Woburn, Massachusetts, US, and Rochford, UK, a leading developer and manufacturer of high-speed imaging cameras, announces recent sales success in China.